Thank you all for your support and prayer! Things have been hectic but I’m finally beginning to settle down here in Phnom Penh. The OMF team have been super welcoming and helpful in showing me around. For my four months in Phnom Penh, I’ll be living with Alfonz and Verlyn, a Filipino couple, and Nathaniel, an Australian Serve Asia worker. On top of providing a wonderful place for us to stay, Alfonz and Verlyn cook dinner for us as well. 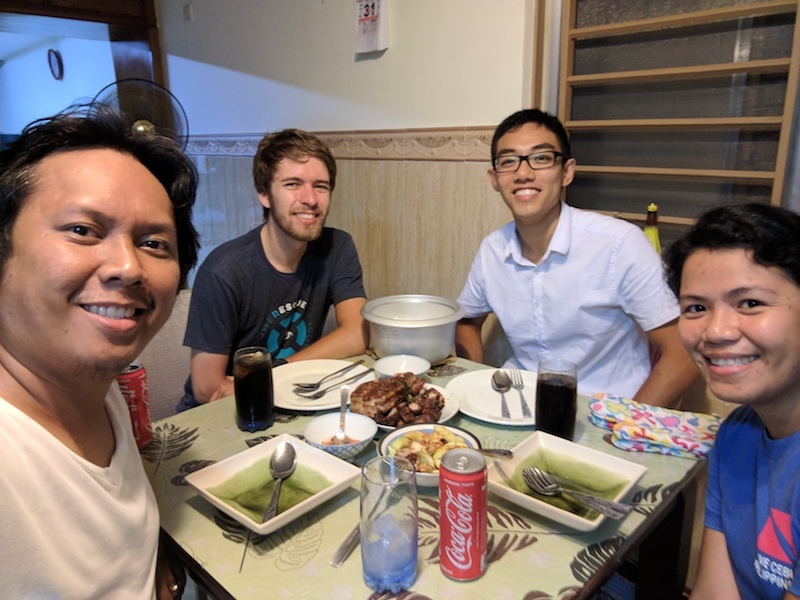 Being able to come home and share a meal with them really helps me feel at home here in Phnom Penh. Thank God for their hospitality! Home-cooked dinner with Alfonz, Nathaniel and Verlyn. The neighbourhood I’m living in. 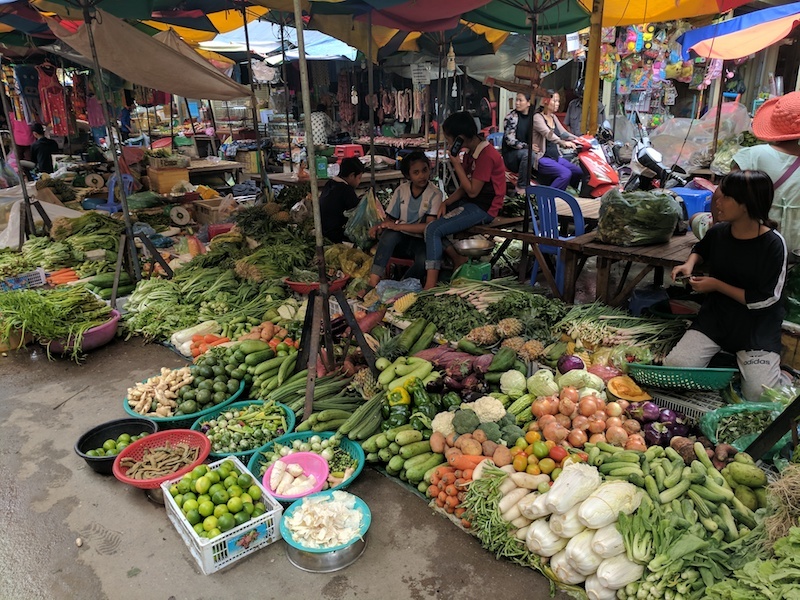 Local market a minute away from home. One of my highlights from the past two weeks is learning the Khmer language. 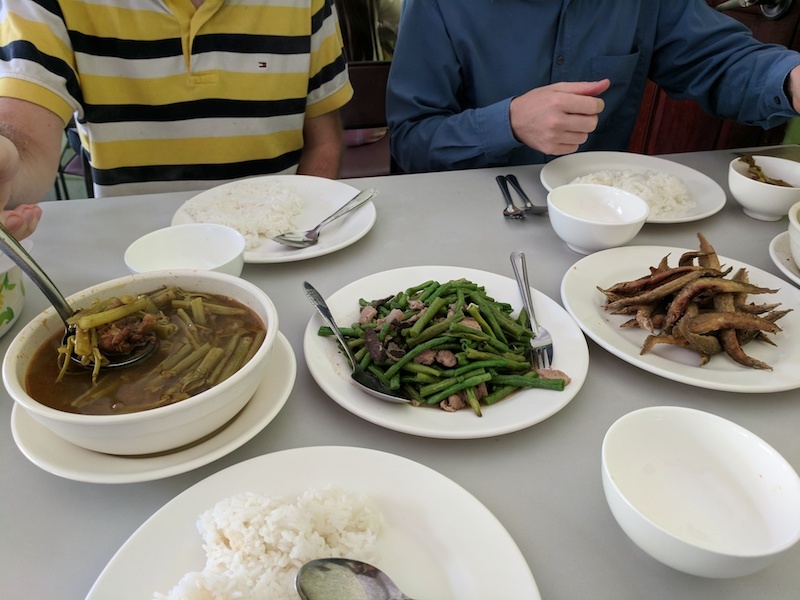 I believe that speaking the local language is a huge part of feeling at home and getting integrated in the local culture. So far, I’ve had several lessons at the OMF Team Centre and am trying to slowly expand my vocabulary. I recently got started on learning the Khmer alphabet, which has 33 consonants and over 30 vowels. One challenge I have in learning Khmer is that I can’t properly romanize the words. 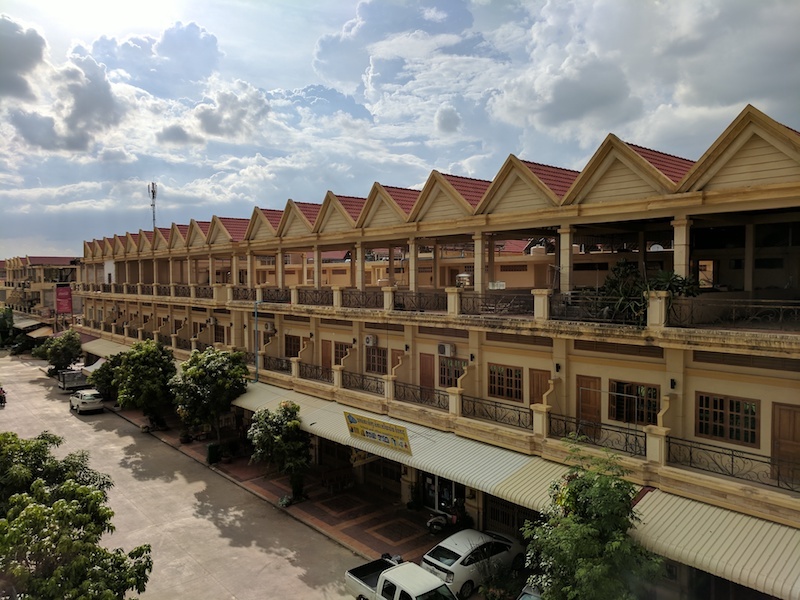 English doesn’t distinguish between many of the vowel sounds that are distinct in Khmer. So hopefully after learning to read Khmer, it’ll be easier for me to pick up new words. Please pray that I’ll be able to pick up the language for better communication with locals. 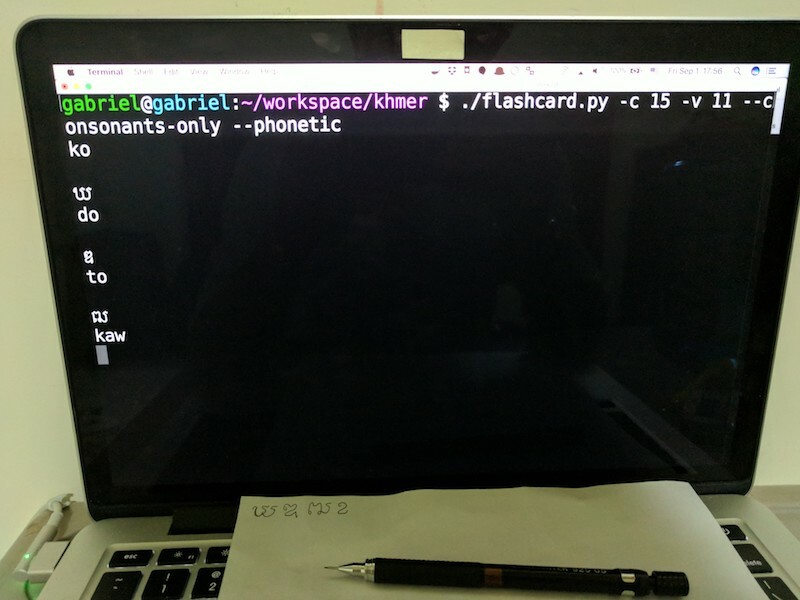 Small flashcard script I wrote to practice reading and writing characters. Motorcycles are the main method of transportation in Phnom Penh. It’s not uncommon to see a small moto pulling heavy loads such as iron beams or a truck of cows. I’m thankful to have been able to borrow a moto from an OMF missionary who has been out of town. After a quick 5 minute lesson and a short around the neighbourhood, I was on my way. Traffic is definitely more hectic and fluid than in Canada. I was told that there is no such thing as right of way on the road, only a constant negotiation of space. 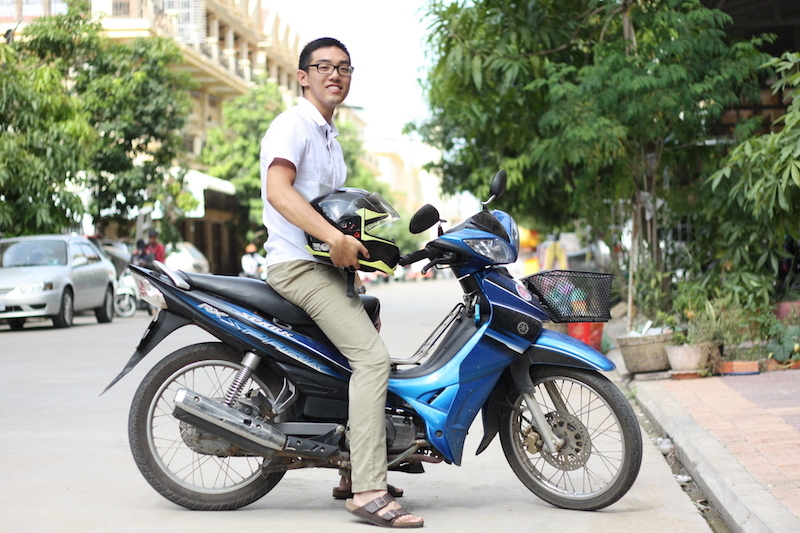 Since motos are so commonly used here, learning to ride a moto like the Khmer helps me to feel more integrated in the local culture. This past Tuesday, I started my main ministry at NPIC (National Polytechnic Institute of Cambodia). I’m working with a team of SIL software developers on Keyman, which allows you to type in languages with otherwise poor or non-existent keyboard support. Keyman is used in translation efforts globally. In the past few days, I’ve been meeting the team, setting up my development environment and familiarizing myself with Keyman. My first project is to migrate the iOS codebase from Objective C to Swift. Although I don’t interact much with locals at the software lab, please pray that I’ll work hard doing my part in God’s mission to spread the gospel to the ends of the earth. Also please pray that I’ll somehow be able to share the love of Christ with local students. 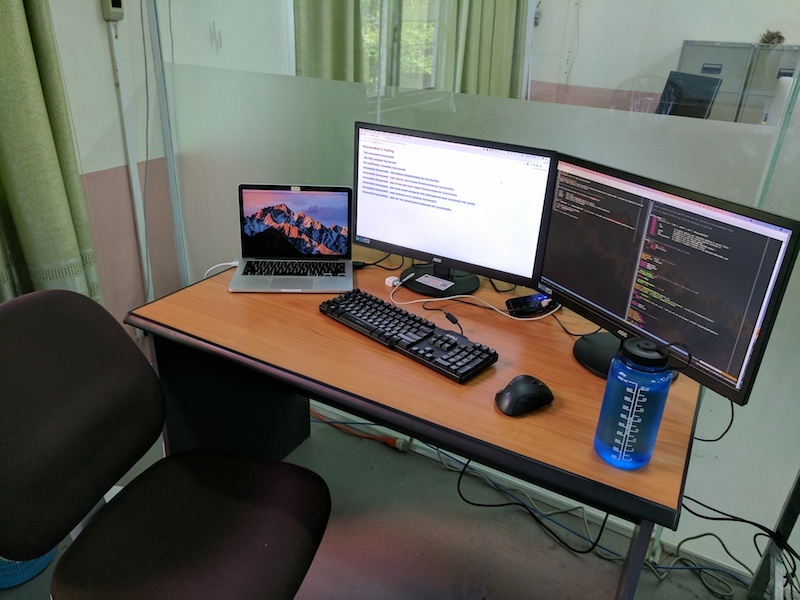 My desk at the SIL software lab in NPIC. Lunch at NPIC is under $0.50 per person with a staff discount! Buddhism is the faith of an estimated 95% of the population and is deeply embedded in Khmer culture. I attended a Khmer church last week where the pastor preached from 1 Kings 15. He contrasted Abijam, who continued in the idolatry of his father, with Asa, who removed the idols of the previous generations and turned to the LORD. For the first time, the saddening reality of idol worship hit me. It never struck me in a Western context where I was never tempted to worship false gods. But here, Khmer Christians are constantly at odds with their culture because of their faith in Christ. However, it’s encouraging to see the work that God is doing in His church in Cambodia. Our God is the God of the nations. He is the God of Cambodia, even if many do not know Him yet. We serve a God who is able to do far more abundantly than all that we ask or think. What if God raised up a generation that turned away from idols and turned to Him? Right now to be Khmer is to be Buddhist, but imagine if in the next generation, being Khmer is to worship the living God! Please pray for Cambodia. 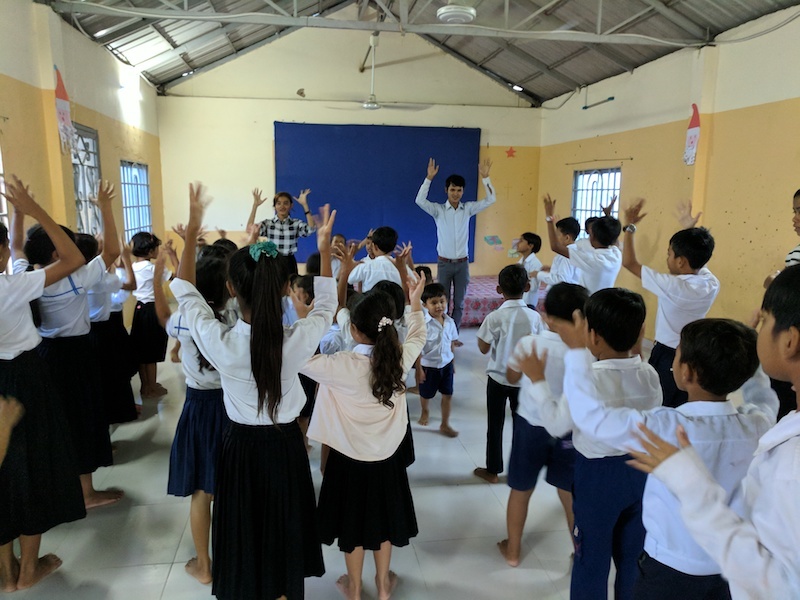 Khmer children learning English through songs declaring the love of Christ! I thank God for his provision so far and I trust that He will continue to equip me for the work that He has prepared for me. Please pray that my joy and hope would always be rooted in Christ and that I’ll have a open mind and an eager heart to go where God leads. Also please pray that I’ll be able to build meaningful relationships here so that I can learn more about Khmer culture and God’s work in Cambodia and share the love of Christ with those around me. Thank you for your continual support and prayer! If you want to hear more, please contact me. I’m more than happy to share more. May God be glorified here in Cambodia!